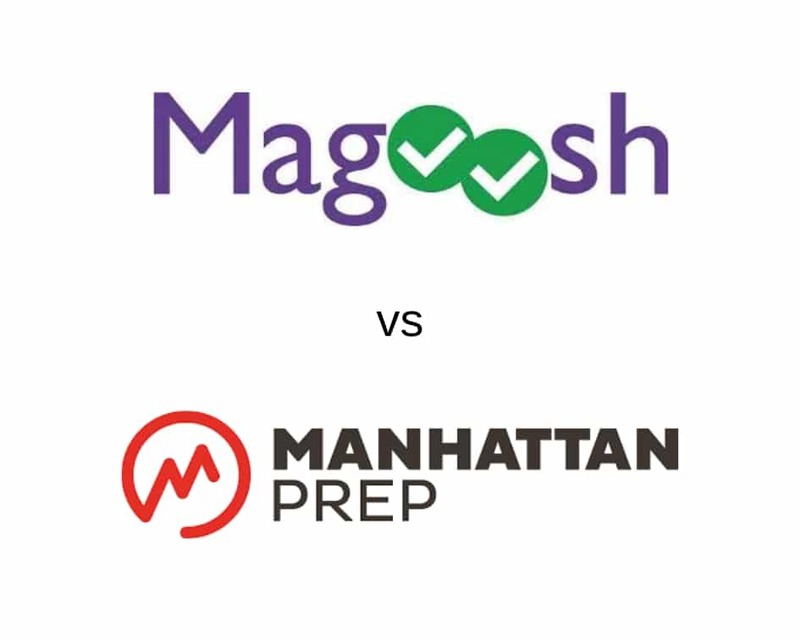 Magoosh vs Manhattan Prep GRE [2019 UPDATE] - Which is Better? 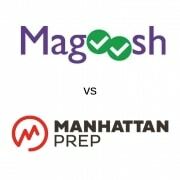 Magoosh vs Manhattan Prep GRE: Which Course is Better? Studying for the GRE alone can be a difficult task – which is why several companies offer GRE courses. But with so many courses claiming to be “the best, it’s important to understand the pros and cons of each before making your decision. In this article we break down the differences between two of the top GRE prep courses, Magoosh and Manhattan Prep. We’ll determine which is best, in terms of affordability, study materials, score guarantees, free trial periods, convenience, and refund policies. Let’s dive in! 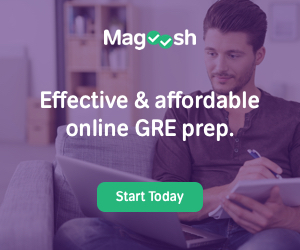 Magoosh offers one of the most affordable self-guided GRE prep courses. Their full library of materials, including videos, tutorials, practice questions, and practice tests, is available to you for 6 months for just $149. If your GRE test is quickly approaching, you can also choose the 1-month option at $129 for the same amount of material. Manhattan Prep offers a few different courses. While both live online and in-person classrooms are available, we will just focus on their guided self-study course. They also have 6-month and 1-month access options, at $399 and $249, respectively. However, you can pay over the course of 3, 6, or 12 months at 10-30% APR, depending on your credit score. Keep in mind that paying $20-$40 over the course of a year will eventually cost more than paying a lump sum. At nearly double the cost, Manhattan Prep is the more expensive option, but it also offers more material. That being said, Magoosh’s price is hard to beat for a GRE prep course. If you’re looking for a reasonably priced option with enough practice questions and video tutorials to keep you busy, Magoosh is the best price. While Manhattan prep is more costly, it also offers more. Listed below is what each GRE course offers for their guided self-study options. For reference, Magoosh’s videos, which average around 5 minutes per video, equal about 21 hours of lessons. Manhattan Prep, while only offering 77 videos, has 27 hours worth of video content in their course. And yes, 100,000+ questions, versus 1,200. However, before immediately assuming that more is better, consider the quality of questions. Consumers who have tried both consistently report that Magoosh’s practice questions are “on average significantly harder than what’s on the test.” While Magoosh’s quant section is particularly brutal, it’s much better to see a hard question on during practice, with an explanation accompanying it, than to encounter it on the GRE. Manhattan also seems to have trouble with their test score analysis. Various consumers report that “the data interpretation is completely unrealistic” and their graphics are poorly laid out. Magoosh, on the other hand, has a fairly nice, intuitive design with easy-to-read data analysis. So, is quantity or quality a better measure? Manhattan Prep certainly has the quantity, but if you’re looking for challenging questions that you can learn and grow from, customers repeatedly report that Magoosh is the better option. Magoosh offers a mobile app with their GRE course, allowing you to study on the go. Along with the GRE app are a couple vocabulary apps to better prepare you for the Verbal section. You can build vocabulary, answer practice GRE questions, and even read articles and watch video tutorials on these apps. Their intuitive design makes it pretty easy to study on the go. You can log in using your Magoosh account, which will allow you to access the full app for as long as your subscription lasts. Manhattan Prep also has a mobile app, but it isn’t as comprehensive. Rather, it only allows you to test yourself on practice questions, so you can’t access any tutorials or guides with this app. The Manhattan Prep GRE app is also just the 5lb Book of GRE Practice Problems reformatted into an app, so if you have the book, you don’t need the app, and vice versa. 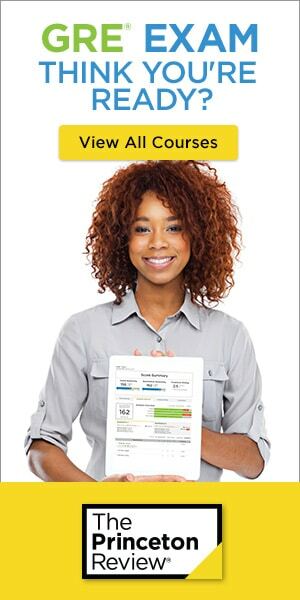 Unlike Magoosh’s GRE app, this app is not connected to their Interact course – you must pay a monthly or yearly subscription ($8.99/mo or $39.99/year) separate from your course costs to access the app. Manhattan Prep states on their website that you can access Interact “on your desktop or laptop computer, as well as on your iPad.” But for those without a tablet, it may be difficult to sneak in study time on the bus or in line at your local cafe. Magoosh wins on this front easily, since Manhattan Prep offers no score guarantee. If you completed the program (watched all video lessons, take all practice questions and tests, and watch video explanations for questions you answered incorrectly), and you didn’t see a 5 point increase on your GRE score, you can get a full refund. Magoosh’s 5 point guarantee is a great way to see if the course really worked, as it surpasses any margin of error or fluke on a harder-than-normal test. To be eligible, you must have taken a GRE test prior to enrolling in Magoosh’s prep course, and that test must still be valid (under 5 years old). E-mail a copy of your “before” score report when you sign up, and a copy of your “after” score if it did not improve significantly, and Magoosh will pay you back via Paypal. If you did not take a GRE test, or failed to send a screenshot or scanned copy upon enrollment, you will not be eligible. Again, Manhattan Prep does not offer any guarantee. Their reasoning is that “The majority of students who start a prep course have yet to take the real test”, meaning to say initial practice tests scores aren’t necessary indicative of what you’d actually get on the GRE. While this may be true, $400, or more if you opted for monthly payments, is a lot of money to take on faith. Rather than offer an imperfect score guarantee, they take away the guarantee entirely. At best, you can enroll in a second program for a “significantly reduced re-take fee” if you’ve completed a program. They don’t specify what they consider complete (remember, 100,000 questions), nor do they disclose the re-take fee. If you want just a little bit of security to make sure that a prep course really helped you, Magoosh is the best option. Both Magoosh and Manhattan Prep offer a 7-day trial period. For Magoosh, you can access 20 lesson videos and 20 practice questions. Manhattan Prep seems to offer the first 15 lessons with practice questions as well. Manhattan Prep, also offers a free full-length GRE test as well. Their GRE test matches the kinds of questions you’ll likely see on their site, so that can be a good indicator as to whether the course is right for you or not. Magoosh offers a year-old diagnostic quiz, which is 20 questions in total. It can be useful, but not as much as a full test. Because Manhattan Prep divides 27 hours of video lessons into 77 individual lessons, versus Magoosh’s 21 hours of video lessons into 250 videos, Manhattan Prep likely offers more during their trial period. Their full-length GRE test also better prepares you for what the course is really like. On top of a trial period, Magoosh offers a no-strings-attached refund policy. If you don’t like the course, or your life got busy, or you just want to look for something else, contact Magoosh within 7 days and they’ll refund your purchase, no questions asked. So which GRE course is better – Magoosh or Manhattan Prep? Magoosh is the more well-rounded, convenient, and reasonably-priced course. With its challenging questions, comprehensive video lessons and explanations, full mobile apps, and score guarantee, it almost completely knocks Manhattan Prep out of the park. If you’re looking for a great prep course for an incredible value, look no further than Magoosh’s online course here. If you need some extra lessons, or if you fear running out of practice questions, give Manhattan Prep’s GRE course a chance. For most people, however, Magoosh is the answer. Magoosh won in 5 of the 6 major categories, and Magoosh comes out on top. TAKE ME TO MAGOOSH GRE TAKE ME TO PRINCETON REVIEW GRE! Regardless of which GRE course you ultimately decide on, make sure you’re not spending more than you have to by using one Crush the GRE’s exclusive discounts.